When reading the name of this dish, you could probably guess exactly what is in it, but it was perfect Sunday breakfast. Really what had happened was that we had left over cake when we first woke up, but then realized that later, we were still hungry and wanted something that would be real food, tasty and quick to throw together. 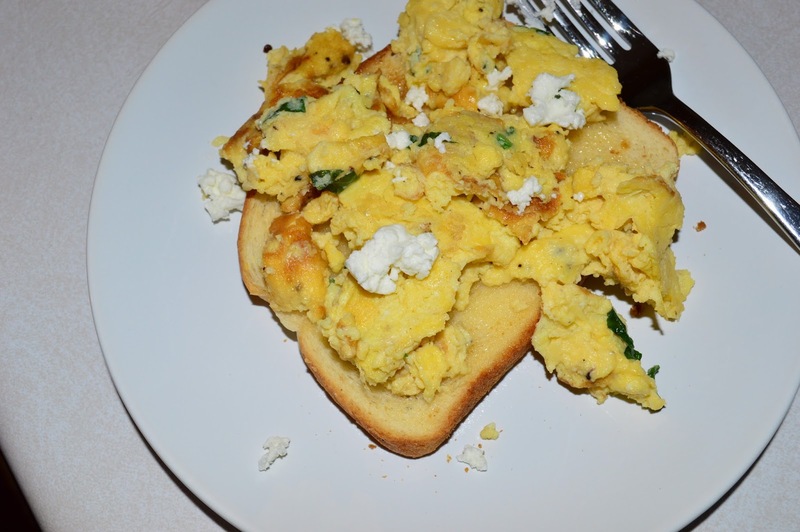 This was definitely an easy thing to throw together since we had purchased fresh basil and goat cheese at the store the day before and we always have eggs on hand. I'm sure that this dish could be adapted with cream cheese and other fresh herbs that you have on hand. Once again...make it your own. 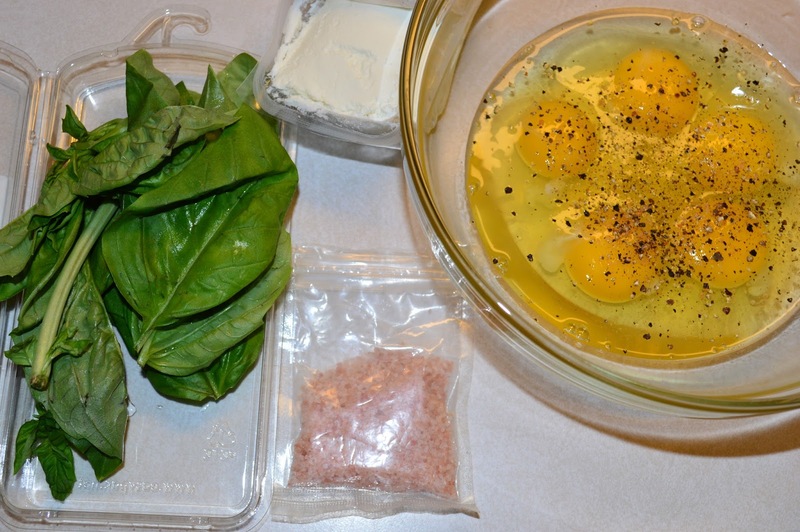 In a bowl, whisk together eggs, salt, basil, and pepper. Once combined, add goat cheese and mix together well. Note: There will be small chunks of the goat cheese in the eggs and that is ok.
Heat a non-stick skillet over medium heat until hot and add butter. 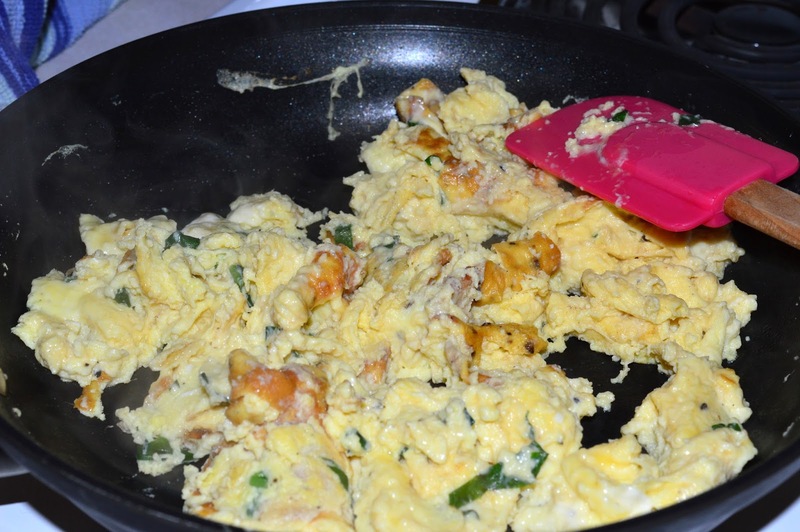 When butter is melted, add eggs and cook, stirring randomly until cooked thru. 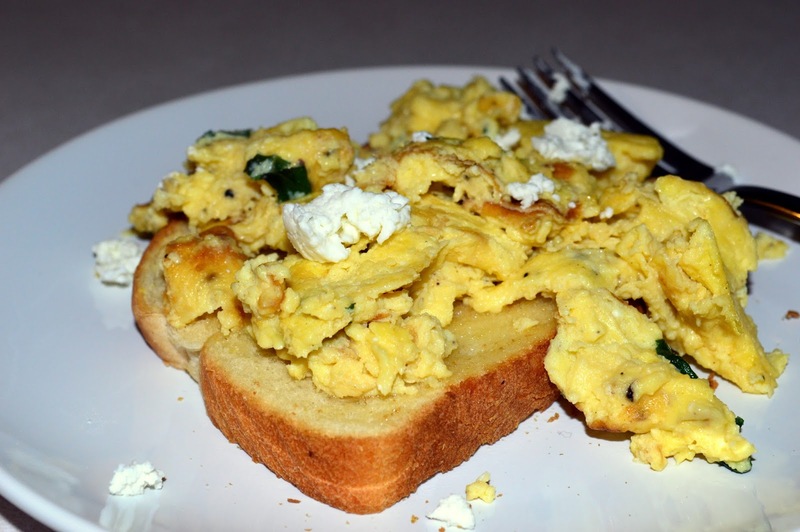 Serve eggs over toast and top with more goat cheese and more salt if desired.